Clickit Realty’s founders created a new and groundbreaking way to sell real estate in 2000 by giving home owners a simple way to access the same local Multiple Listing Service (MLS) that real estate agents have. By listing a home for sale with Clickit, sellers can save on agent commissions and save thousands, while keeping their “FSBO” (For Sale By Owner) rights. Clickit Realty is the largest and most respected Flat Fee MLS provider in Georgia, North Carolina, and Connecticut. Many repeat customers and over 10,000 properties sold! 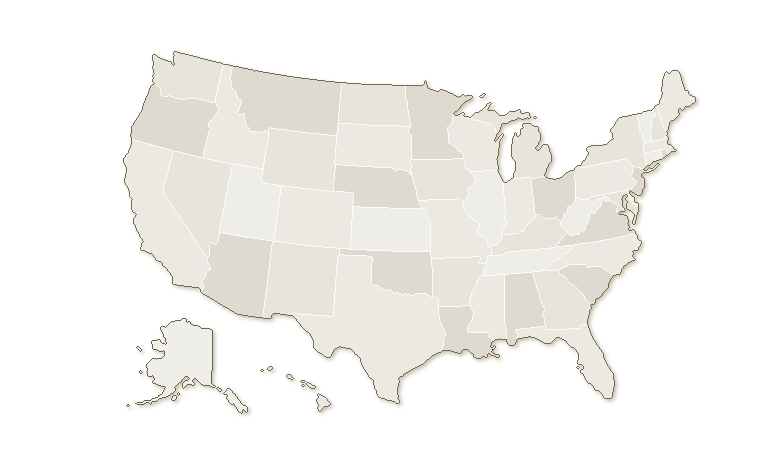 Our network of Realtors can list your property in all 50 states. Clickit Realty is the largest Flat Fee MLS provider in Georgia, North Carolina and Connecticut, but our network of Realtors can list your property in all 50 states. Choose your state to see packages offered on your local MLS. Your property is listed based on information you provide. Use our online listings management system to enter information about your property and update it whenever you like. We list your property for you! Your listing populates to the local & national websites like Realtor.com (the #1 customer site) so that buyers can find your property and agents can show their clients. FAQ: How does my property get from the MLS to all of those other sites? The MLS uses an established format to show information about listings. This same information can then be easily shared with other websites without any action from you. Clickit lists to MLS, MLS shares to Trulia, Zillow, and many more! Potential buyers come to you! This happens in two ways. First since your listing is on the MLS, agents will find your listing in searches for their buyers. These Agents will either call you or use the Association of Realtors scheduling service to set an appointment with you. If the buyer is not represented by an Agent, that buyer may call you directly to see the property. Clickit Realty does not work with buyers so if a buyer comes to us we will refer them directly to you. This gives you the added opportunity to sell the property without having to pay a buyers agent commission for even more savings! Second, your listing appears on dozens of local and national websites. Interested buyers can contact you directly to schedule a showing and make an offer. You pay 0% commission if the buyer comes to you without an agent. You can negotiate the price and terms of sale for your home. You do not pay Clickit any commission after the sell of your home, saving you thousands! FAQ: Who handles the paperwork? We provide the needed paperwork to sell your home. If you have any questions, just call! Our expert staff can help answer your specific questions. We offer a Flat Fee MLS Listing for as little as $299 for sellers looking to save thousands of dollars in commissions, and maintain direct control of the sale! Our goal is to ensure you are satisfied with the process of listing your home with Clickit Realty. We want to make the process simple, and of course, to save you thousands over full-service agents. Select Your State to Get Started! Clickit Realty will match any competitor’s price for equal tools and systems. If for any reason you decide to list your property with a full-service broker, Clickit Realty will refer you to a top broker and give you a full refund of the package price at closing. Show Under Contract/ Lease Pending? Who Should Use Flat Fee MLS Listing Services? How Can Real Estate Investors Benefit from Flat Fee MLS Listings?